Skidmore College became a smoke-free and tobacco-free campus on Jan. 1. Smoking and tobacco use —including the use of all e-cigarettes and vaping device —is prohibited throughout all of the college property, including outdoor areas. Holly Zelenkewich, owner of Healthy PhysZeke, a personal training business. Fitness trainers have found that while wearable devices are fun and useful tools for tracking progress, there is nothing like the personal touch for motivating clients to meet their goals. Fitness tracker devices count steps walked, calories burned, heart rate, sleep patterns, and more. Many sync data to cell phones or other devices though mobile apps that can be shared with friends and personal trainers. Some believe “wearables” have led to better health or greater weight loss, although results can vary among different age and lifestyle groups when compared with the old-fashioned methods. A study published by the JAMA Network in 2016 concluded there was less weight loss among 471 adult users when compared to a control group. Dr. JoAnne McDonough of Round Lake, new medical director of urgent care services. 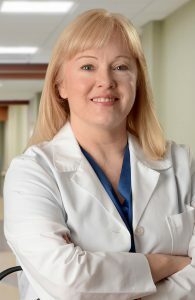 Dr. JoAnne McDonough of Round Lake is the new medical director of urgent care services at Malta Med Emergent Care. The emergency medicine physician is assigned to Malta Med full time, treating patients and overseeing all medical care at the facility, officials said. Although they were always available for consultation, previous medical directors also spent time providing care off site, officials noted. The change in coverage reflects increased demand at the 24/7 facility—and is the latest example of Malta Med’s responsiveness to patients and the community. Holly Zelenkewich, the owner of Healthy PhysZeke, a traveling personal training business in the Saratoga area, says good nutrition is often the biggest challenge to good fitness. In 2006, The American Journal of Clinical Nutrition reported that many diseases that were a direct result of nutritional deficiencies in populations had increasingly given way to chronic diseases related to dietary imbalances and poor nutritional habits. At the time, the journal pointed to the need to focus on preventive approaches to healthcare that include assessments of nutritional intake on both the individual and the community levels. Twelve years later, the need for proper nutritional balance and better dietary choices is more urgent than ever. A 2018 article in U.S. News & World Report stated that 39.6 percent of Americans over age 20 are considered to be obese. The figure is up nearly six percent from 2008. This is a rendering of a new family medical center that Hudson Headwaters Health Network plans to build on Route 9 beginning this fall. It will total 24,000 square feet. 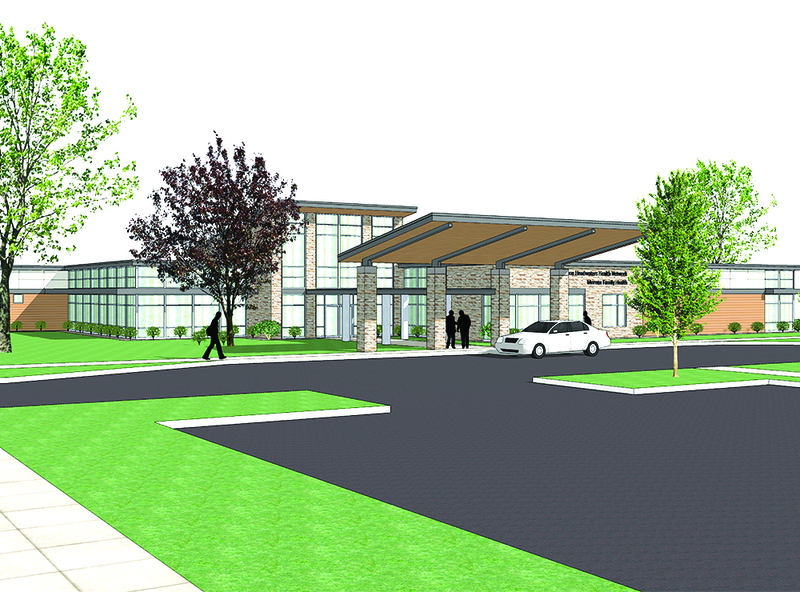 Hudson Headwaters Health Network plans to break ground this fall for a new, larger, family medical center in Moreau, about a mile from the existing Moreau facility. The new medical center will be built on 5.1 acres of land Hudson Headwaters purchased last June at 1299 Route 9 and 34 Fawn Road, close to the Northway. Plans call for a 24,000-square-foot facility, most of which will be occupied by Hudson Headwaters. There will be 18 examination rooms, two procedure rooms, a health behavior room, and space for care management and nutrition, officials said. 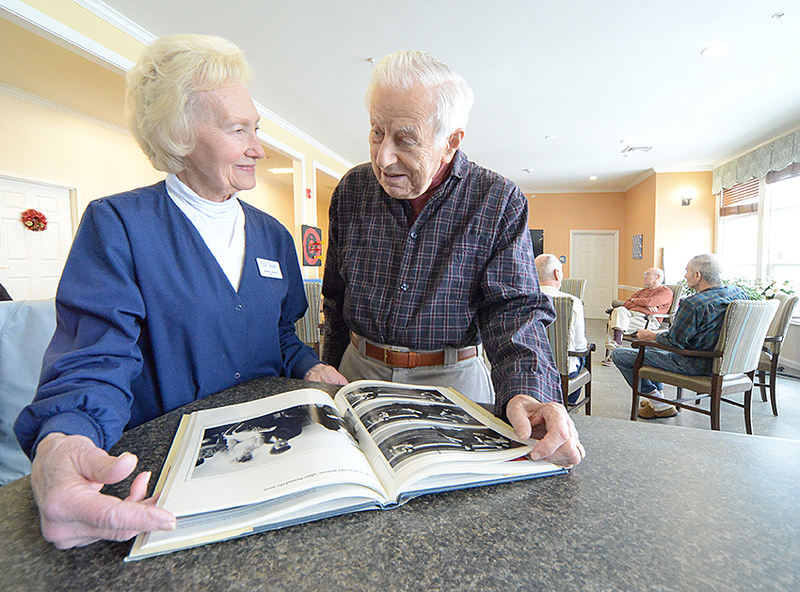 Marion Coppola, an LPN at the House of the Good Shepherd facility on Church Street in Saratoga Springs, talks with resident Anthony Borgese. Families with members suffering from dementia and Alzheimer’s have a new place to seek care, thanks to Home of the Good Shepherd. On July 31, the organization opened a new memory care community, located at the organization’s building at 390 Church St., Saratoga Springs. The non-profit organization, affiliated with the Bethesda Episcopal Church in Saratoga Springs, has been in operation since 1870, provides care for elderly residents, and has communities in Saratoga, Wilton, Malta and Moreau. Along with sunlit, private suites, residents also enjoy a safe, landscaped outdoor courtyard, as well as a highly trained and caring staff, dedicated to celebrating the life of each individual in the community. New York state has been designated the first age-friendly state in the nation by the AARP and the World Health Organization. This achievement is a result of a directive to include health in state agency policy-making, an effort that will result in more livable communities for people of all ages and enable more New Yorkers to age comfortably in their homes. In order to achieve this designation, New York ranked high in the eight age-friendly and livable community domains outlined by WHO and AARP, which include: outdoor spaces and buildings, transportation, housing, social participation, respect and social inclusion, work and civic engagement, communication and information, and community and health services. Dr. Karissa Scarabino has opened Osteopathic Health Of Saratoga. 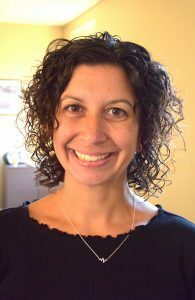 Dr. Karissa Scarabino, DO, MPH, has opened an office for osteopathic health services in Saratoga Springs. Osteopathic Health of Saratoga, 28 Clinton St., Suite 3, offers what she describes as osteopathic manipulative medicine with a diagnostic and therapeutic practice of medicine based on wellness. “I say everyone deserves an osteopath. There’s always something that needs to be treated. The goal of osteopathic medicine is to optimize health by restoring the normal structure and function of the body,” said Scarabino. Scarabino said osteopathic physicians treat patients by looking at the whole picture before prescribing medical treatment. They use a hands-on approach to identify structural problems and support the body’s natural tendency toward good health and healing. Scarabino can treat patients with musculoskeletal injuries and sport injuries, in addition long term chronic problems. “I knew it was my calling to become a doctor. When I learned about osteopathic medicine, I knew this is what I wanted to do,” she said. “The goal of osteopathic medicine is to optimize health by restoring the normal structure and function of the body,” Scarbino said. “Osteopathic manipulative medicine is a diagnostic and therapeutic practice of medicine that focuses on wellness. Instead of just treating specific symptoms, Osteopathic physicians concentrate on treating you as a whole. The state Department of Health today announced plans to enhance and expand its tick surveillance and education efforts to safeguard New Yorkers from tick-borne diseases such as Lyme disease. The stepped-up efforts come as the state confronts a growing number of ticks, tick-borne diseases, and an increase in the geographic distribution of ticks. Earlier this summer, the department expanded tick collection efforts in Saratoga County after confirming three human cases of Powassan virus, a rare viral disease that can cause symptoms ranging from mild flu-like symptoms to life threatening encephalitis (inflammation of the brain). Officials said the disease remains extremely rare in New York state with only 26 confirmed cases since 2000. The three cases in Saratoga County are the only confirmed cases of Powassan this year. As part of the expanded collection efforts in Saratoga County, the department visited 30 unique locations and collected approximately 2,700 ticks for testing at the Wadsworth Center, officials said. Five positive pools, comprised of 22 ticks, tested positive for Powassan. Saratoga Hospital now offers emergency cardiac interventions 24/7 for heart attack patients, officials said. That means emergency medical services teams can save precious time by bringing heart attack patients straight to Saratoga Hospital for potentially lifesaving procedures such as coronary angioplasty and stenting. Saratoga Hospital has provided these services since 2014, but not on an emergency basis. Instead, heart attack patients were rushed to hospitals outside Saratoga County—a trip that could delay treatment by 30 minutes or more, officials said. Now, because of the new, emergency cardiac program, specialists are available at Saratoga Hospital around the clock to provide expert care as quickly as possible. Interventional cardiology is a branch of cardiology that deals specifically with minimally invasive, catheter-based procedures—including balloon angioplasty and stenting—to diagnose and treat heart conditions. Procedures are performed in high-tech cardiac catheterization laboratories by specially trained cardiologists.